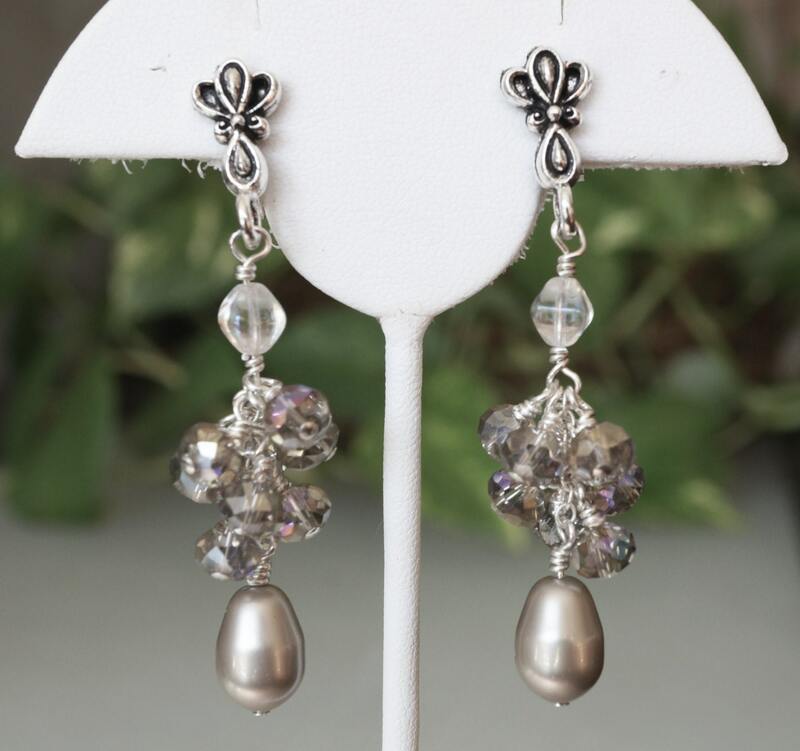 Here you have some Vintage Style Bridal/ Party earrings in platinum. 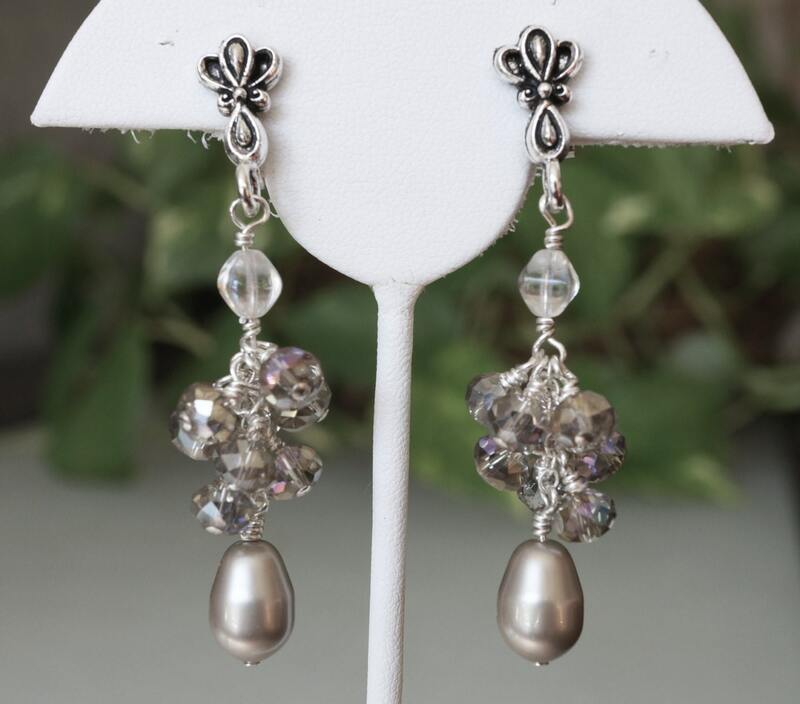 I designed the cluster around the Swarovski platinum drop beads. The cluster is made of AB Czech beads. 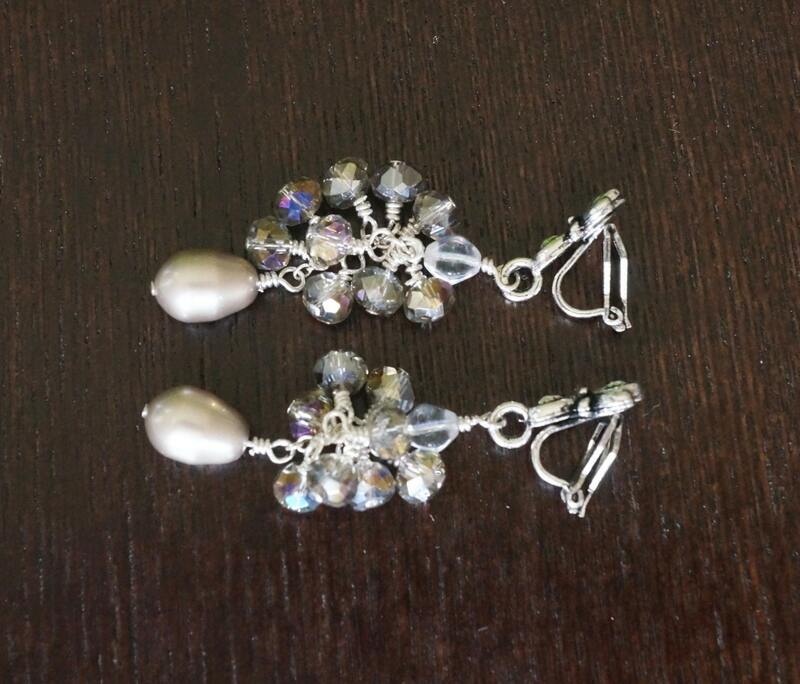 They are clip on earrings. If you would like me to change it to post pierced, I can do that at no extra cost. They measure about 2 inches long.